I’m slowly but surely working my way through J. California Cooper’s work and enjoying each one. I’m marveled at her mastery to tell a story. Anyone out there who is attempting to write short stories should absolutely read her. All the ingredients in her stories are carefully chosen and used to depict well-rounded characters placed in common life situations. All of her stories have a moral. She isn’t preachy but she definitely tries to favor the positive side of life, even in the most burdensome situations. I just searched your site and I didn’t see “In Search of Satisfaction.” Have you read that one yet? It was my first book by Cooper and like you, I’m about to begin making my way through her work. You are on it with the short story reviews and I’m loving it! Sounds like a powerful little collection, thanks for sharing Didi! Yes it is! How are you Claire? Good thanks Dee, sweltering in the heat, but taking it easy over summer. And you? Working a lot at the moment but things seem to be slowing down. Getting ready to set my daughter up in Paris. Shell be studying sewing and fashion at ECSCP starting in September. I’ll be in holiday the month of August. I think I’m guilty of owning two copies of In Search of Satisfaction (both were gifts) and they are packed in a box! Still, I haven’t read any J. California Cooper in a long time so maybe I will before the year is out. Wishing you well and congrats to you and your daughter on her new life chapter. Thanks Leslie! Definitely get to Ms.Cooper! She was such a wonderful storyteller and I homeport people start to recognize that. Hope your summer is going well and we must do a chat at some point. When are you free? 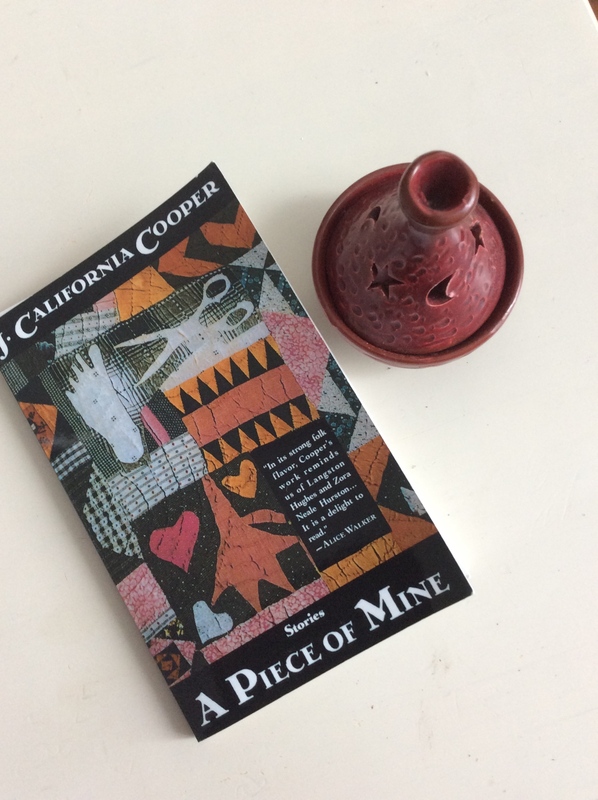 I’m really excited to read some J. California Cooper soon, thanks to all the rave on her on the blogosphere. Thanks for the recommendation on Goodreads! This is now on my tbr. I have Cooper’s book ‘Some Love, Some Pain, Sometime: Stories’ which is also a short stories collection. I hope to get into it early 2016!